This is not a new Hershey's Kiss flavor. 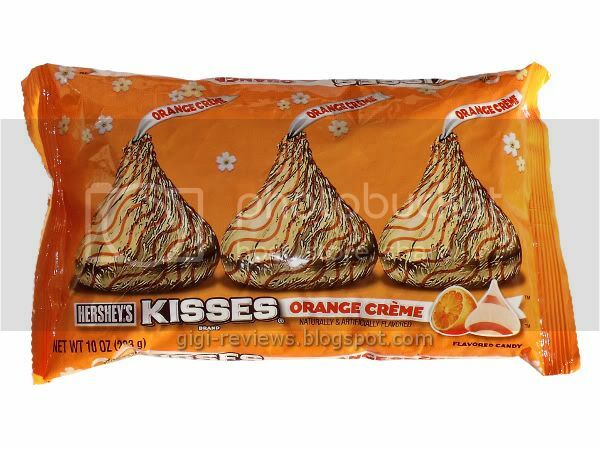 They were issued back in 2007 for the 100th anniversary of the Hershey's Kiss -- and I think they were also out around Halloween of 2005 as well. I am not sure if any of the previous incarnations were made with white chocolate, but I do know that this version is simply referred to as "Flavored Candy." And is it ever a good sign when a candy description is that vague? I admit that made me cautious. 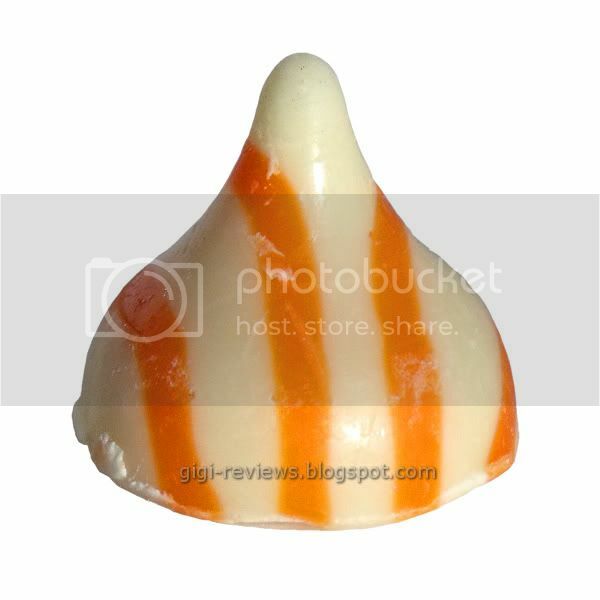 The base of this Kiss is a white confection that is striped with layers of orange. If nothing else, they are pretty. I liked the scent; when you open the bag, it's like opening a can of orange soda. Yes, it's an exaggerated orange -- but it still smelled good. 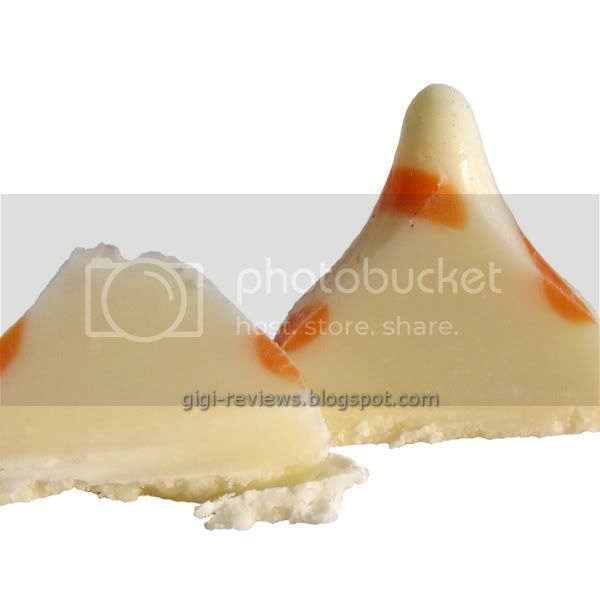 The kiss is called Orange Crème, so of course it's not a shock that the flavor is meant to be like that of a Creamsicle. And the Kiss pulls off its mission pretty well. It does in fact have a flavor that is heavy on the vanilla side. Yeah, it's fake vanilla, and you won't be fooled into thinking it's real, but at least you get the general idea. When it comes to the orange, what's interesting is that you smell it more then you taste it. I think that probably is for the best, because it keeps the sweetness from the vanilla sort of in check. I actually liked the aftertaste more than eating the candy. The aftertaste is like the last sip of a really good Creamsicle soda. The texture is cool on the tongue and it melts quickly. It's a little grainy, but it completely avoids the waxy feeling some of the special edition Kisses have had. They are extremely sweet...so sweet that by the fourth Kiss my throat was burning. No, they're not really special. But I have to admit they weren't bad at all. 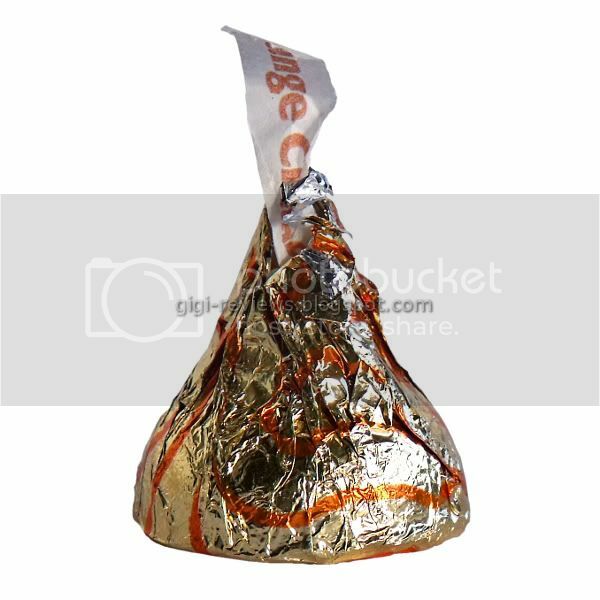 Even though it's not an actual chocolate Kiss, and even though it's not exactly a natural flavor, I just liked the combination.